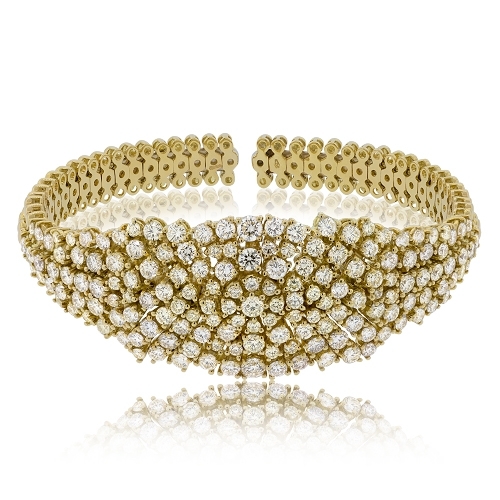 All prong set yellow tone diamonds in this impressive wide bangle of 18k yellow gold. Diamonds approx. 7.72ct.